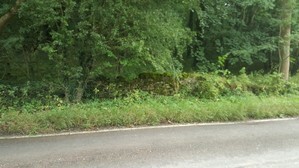 Two council men and a lorry looking for Birchhill and a dumped three piece, they found the offending refuse but said they had spent three days looking for Birchhill. 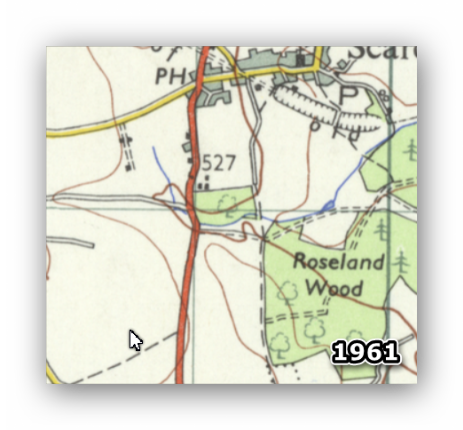 The name was unknown to me but on looking at an old map it appeared to be a farm or house (which was no longer there) at the edge of the woods at the bottom across from Poulterwell Lane. 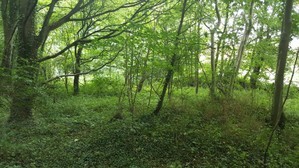 I proceded to look at the site and found that you can clearly see where the house was as the area had been dug out and a flat area was still in evidence. 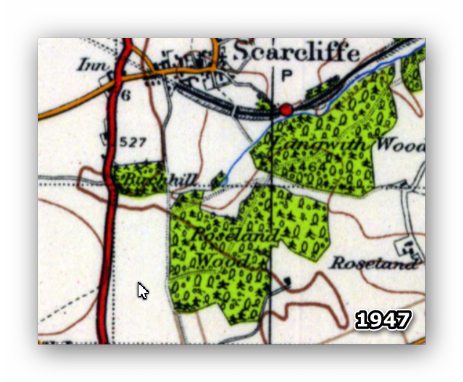 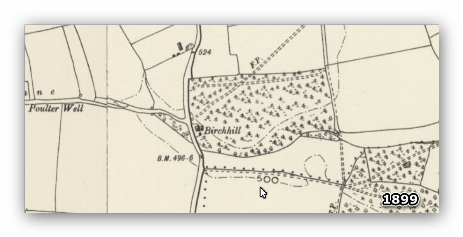 Birchhill was in evidence on the 1887 Ordnance Survey maps but was clearly missing by the 1960's. 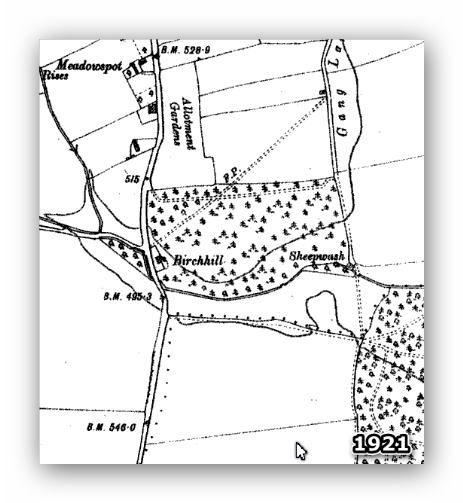 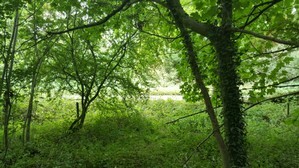 The name lives on however as Birchhill Plantation, the woods in which the house was built and the local scout camp is to be found to the top of the plantation.